Property Details: 1 Bedroom executive. 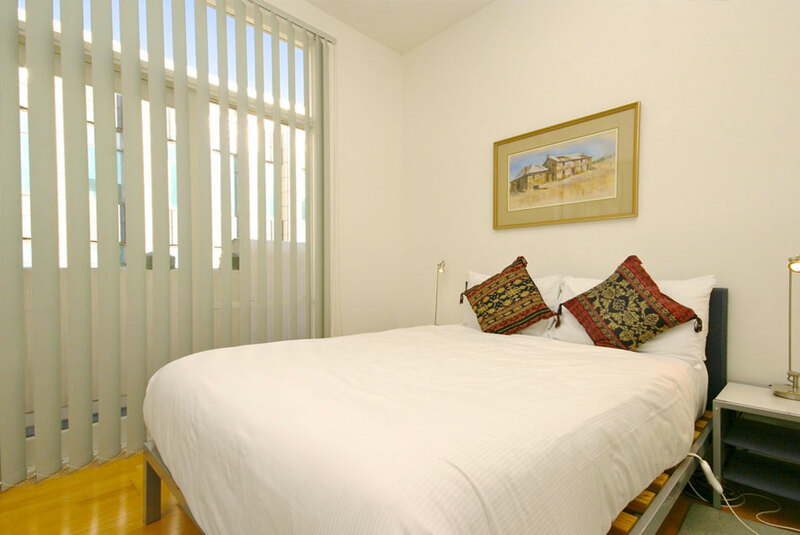 This is a large one-bedroom Melbourne serviced apartment with additional study. 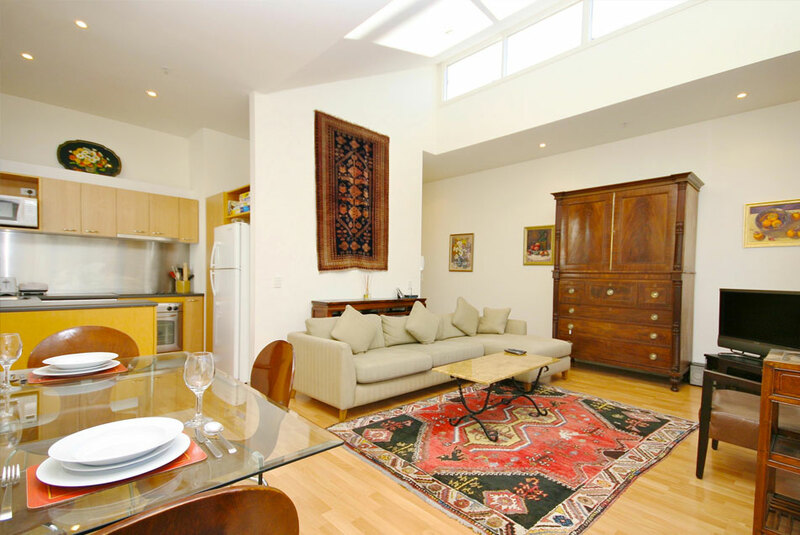 It has a classic feel with antique furnishings, high ceilings and hardwood floors. It is located in a quiet boutique building in the very heart of Melbourne’s CBD, on the corner of Swanston and Little Collins. 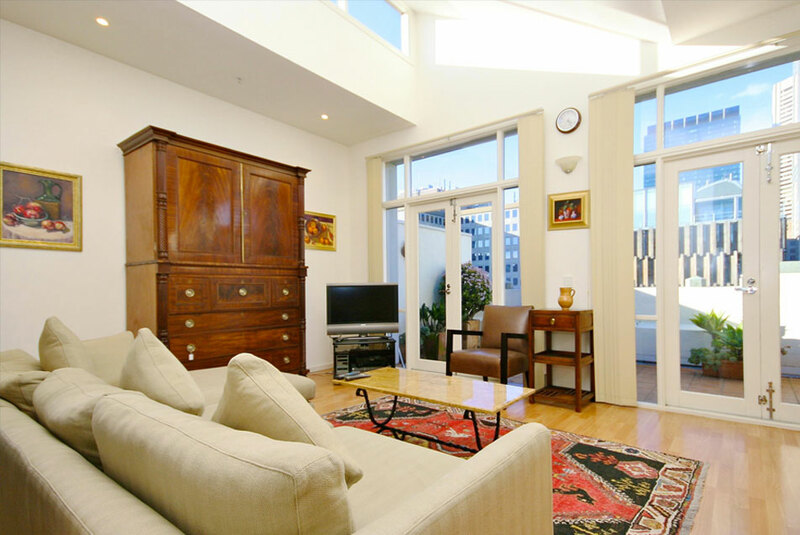 If your project is in the CBD, then this Melbourne serviced apartment is likely to be close to work. It is also in heart of the city and close to all the action. 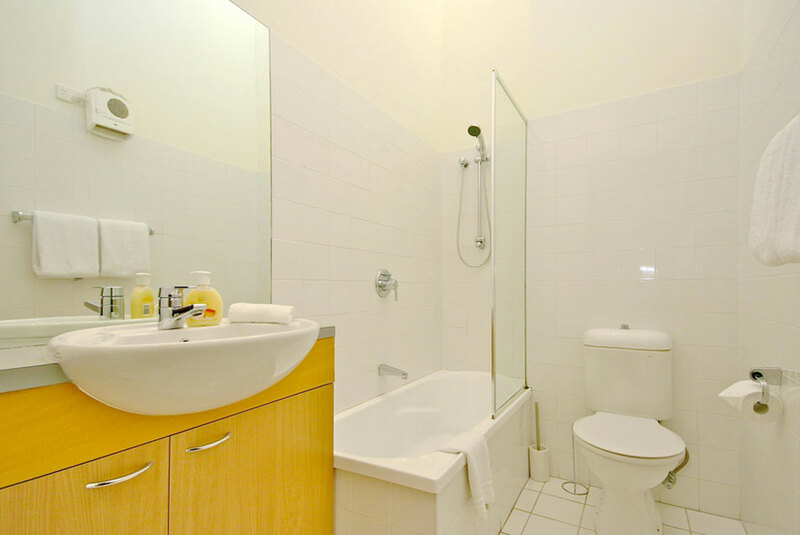 You are surrounded by restaurants, cafes, bars and plenty of entertainment venues. You are not likely to be at a loss for things to do in Melbourne, however here is a useful guide to the city’s many options. To big to be called a balcony, your 9th story, planted terrace will impress your friends. 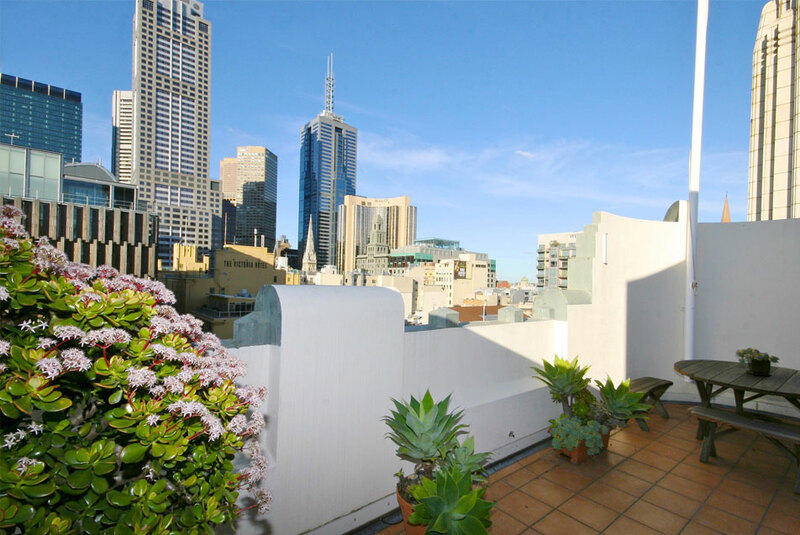 Look down on the Swanston Street crowds below, while enjoying an evening drink with your visitors. 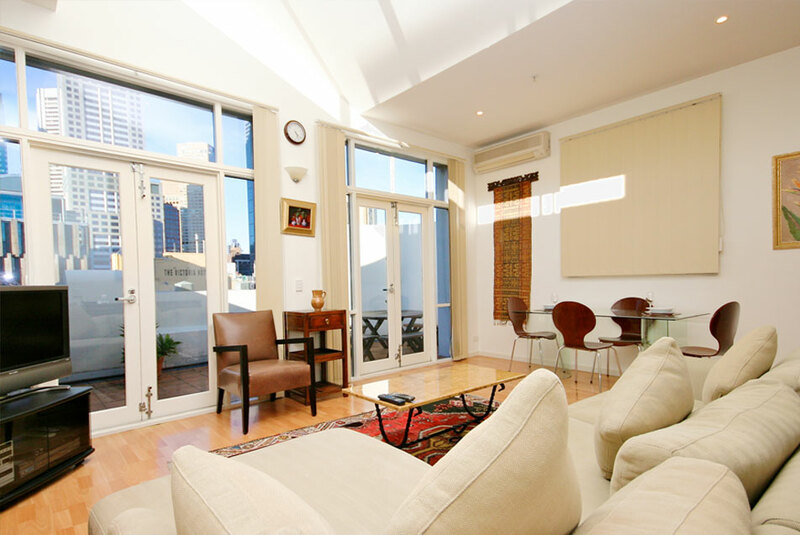 Your Melbourne serviced apartment is your home while on extended stay in Melbourne. Yours to enjoy. Access to the building is with electronic security swipe. The apartment itself is of an older design and furnished accordingly. It is very comfortable with a homely feel. 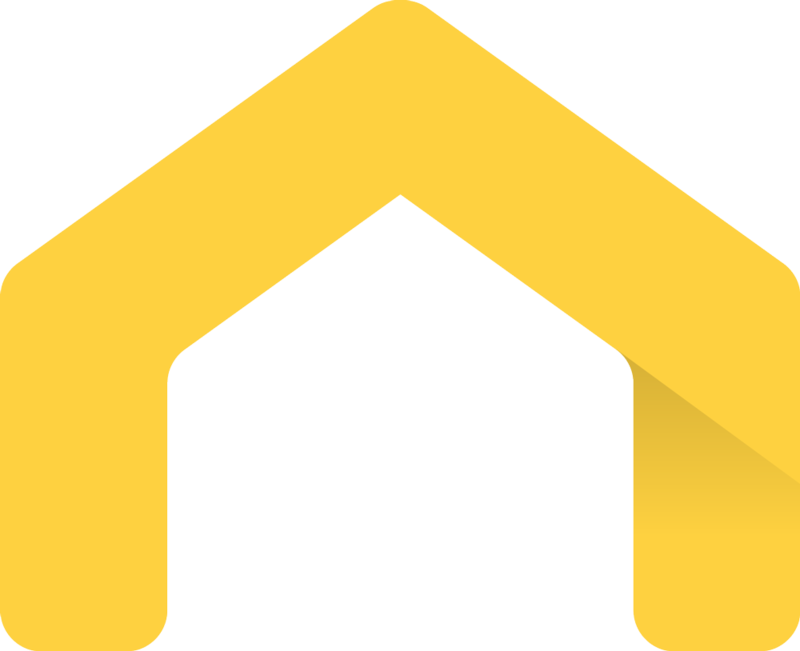 Despite its central location it is quiet, so working from home will not be a challenge. As with all of our apartments, free high-speed internet is included. Feel free to have a chat with our friendly staff if you would like more information.